Hospice is a philosophy of care and usually takes place in the comfort of your home, but can be provided in any setting in which you live, including skilled nursing homes and residential care facilities. Hospice is for the final days of life or after 6 months on the hospice benefit, the patient is no longer eligible. Hospice is designed to meet the unique needs of terminally ill patients and their families. A patient is eligible for hospice as long as they have an illness with a prognosis of 6 months or less to live if the disease continues its normal course. There is no absolute time limit – patients may come on and off hospice care, as needed and eligible. An unfortunate trend is very late referrals to hospice. As a result, the median length of stay is too short to allow some patients, their families and caregivers to gain the full benefits of hospice care. Most people that used hospice care wish they had us sooner. Only oncology patients are appropriate for hospice. Hospice DOES serve many patients with different diagnosis. In the past, most patients who enrolled in hospice were cancer patients. Medicare has standards to help define hospice prognostic indicators for non-cancer patients. Hospice is when there is no hope. Under current regulations, hospice patients must have a specified and limited life expectancy. However, the hospice philosophy emphasizes the creative and positive outcomes to be realized by defining and achieving personal goals and by living life to the fullest. It is not uncommon for patients entering hospice to experience an improved sense of well-being and comfort. This sometimes happens because pain management and symptom control issues are openly discussed and effectively resolved. This sense of well-being is a reflection of the patient’s sense of empowered control gained from defining their goals and from active participation in developing their plan of care. Hospice is a rich comprehensive benefit available for most all patients and families. Covered 100% health benefit under Medicare, Medi-Cal and most insurance plans. Once a patient has elected the hospice benefit, they may no longer access other health insurance. Each insurer has rules defining eligibility for covered services. When a Medicare-eligible patient elects hospice, all care related to terminal illness is automatically covered by hospice. Medical problems unrelated are covered under regular Medicare, including physicians’ involvement with ongoing care. The patient must have a primary caregiver or family members to provide care. Having a primary caregiver is a NOT a prerequisite to hospice care. The care is based on safety and overall well-being of the patient. Hospice care is intermittent visits based on patient and caregiver needs, therefore as needed VNA Hospice team members works closely with community resources to facilitate additional support. A patient must have a POLST (Physician Order for Life Sustaining Treatment) or DNR (Do Not Resuscitate Order) and accept death to elect the hospice benefit. The law requires hospices NOT discriminate in providing the hospice benefit to patients because of any advanced directive choices they have or have not made. 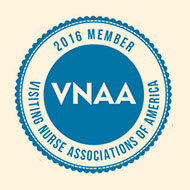 Helping patients and families make healthcare choices is one of the responsibilities of VNA Hospice team members. If DNR or advanced directives were a legal requirement, referral to hospice would be postponed and length of hospice stay would be even more dismal. End-of-life wishes are honored in the United States. Attempts are made to honor end of life wishes, however there is disconnect with individual wishes and actual outcome. 83% of Americans state they want to die at home but die in other places. 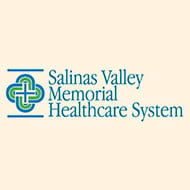 Talk to VNA & Hospice staff about POLST and/or advanced directives. Hospice patients cannot have current treatments such as tube feedings, IVs or therapies. Once a patient chooses to have hospice, they cannot choose to go back to seeking curative treatment or hospitalization. Each patient is evaluated on a case by case basis and receives treatments if it provides support or comfort. The benefit does NOT mandate the patient stop treatment. The benefit states if the treatment will probably cure the patient or significantly prolong their life beyond 6 months, they are no longer hospice eligible. The patient always has the choice of revoking the hospice benefit. If the patient wants to return to hospice care at a later date, Medicare, Medi-Cal, and most private insurance companies will allow readmission. As a family-centered concept of care, hospice focuses as much on the family and caregivers along with the patient. The team of professionals meet individual needs and concentrate on living life to the fullest. Hospice team may include: Nurses, Physicians, Hospice Aides to assist with bathing, light housekeeping; Spiritual Care Counselors serving in a non-denominational, interfaith manner to assist in many ways; Medical Social Workers to assist with planning and emotional support; volunteers with massage, music, and pet therapy programs; and Bereavement Counselors. Hospice care ends when the patient dies. I can only receive support if part of hospice. Hospice provides grief and bereavement support for loved ones up to 13 months following the death of the patient, and in some cases longer. VNA Hospice offers groups for the community at large – serving individuals, schools, churches, employers, veterans, and facilities. Patients in nursing homes are ineligible for hospice care. Regulations allows for nursing home patients to receive additional care with the hospice benefit. Collaboration is critical with shared patients and nursing homes and hospices create a positive synergy on behalf of the patients they serve together.